Free movie ticket to Man of Steel! 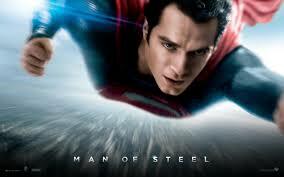 Who’s excited to see the new Superman movie? I can’t wait and I’m offering a special this month. Get any healing session this month and get a free movie ticket to Man of Steel! This offer does not apply with any discounts, coupons, or monthly specials. Because of the change that consciousness is undergoing on the planet, Reiki has a wonderful future. Reiki is becoming more popular because of this change at the same time that it is one of the reasons the change is taking place. In fact, you could say that the spirit of Reiki is the spirit of our planet’s future. In the past people have attempted to preserve their well being by establishing and defending their differences and creating separateness; separateness from other individuals, other ethnic groups, other religions, other countries, etc. Maintaining our separateness has been of paramount importance and we have devoted the majority of our resources to doing this. The underlying idea was that peace will come only when we first protect ourselves from others and then dominate them. The result has been the development of weapons of greater and greater destructiveness and a world that became less and less safe. The assumption that separateness was the solution to our security came from fear. This fear came mostly from not knowing or understanding members of other groups, religions, and countries etc. Fear creates distortions in ones thinking and this is what caused people to accept this false assumption. The truth is that we are not separate. We are all interconnected. This has been an important part of the teachings of many spiritual groups and native peoples since ancient times. It is also a basic truth of Reiki consciousness. Fortunately, as the world becomes a smaller place and activities in the world have speeded up, this truth has become easier to see. Many of the world’s leaders are realizing this and have begun to work more closely together. We can see this in the end of the Cold War, the destruction of the Berlin wall; and the fact that the major powers of the world are now working together to solve problems and create peace rather than to engage in or instigate war. Most of the countries of the world have gotten the message too and are beginning to operate under the assumption that if we all work together, everyone will be better off. And while there are still major problems in the world, there are tremendous resourses being focused on them. It appears that we are over the hump. We are quickly moving from a world where separateness, power and control are the main methods of organization to a world where love, cooperation and acceptance is becoming the primary basis of our activities. These are the basic qualities that Reiki creates in any person or situation it is directed toward. It is certain that the increased use of Reiki in the world is contributing to this process. One of the difficulties the world has experienced is the struggles that have taken place between different religious and ethnic groups. In fact when we look at the history of the world, we can see that many of the wars that have been fought have been over religious differences where one religious group try’s to dominate the other. This has caused great suffering in the world and created religious hatreds that go directly against religious principles. Much of the suffering in the world comes from religious intolerance. I am now available for outcalls. That means that I can come to you! For an extra $20.00, I can go to hospitals, your home, or your hotel. I can travel anywhere in the bay area as long as it’s 60 miles from Pleasant Hill. If you want me to travel more than 60 miles of Pleasant Hill, it will be an extra $10.00. I don’t travel to hotels in San Francisco, but have a friend who does and can recommend her if needed.